Last month The Receivables Exchange and the NYSE Euronext announced a partnership and a new cash flow tool offering for the Fortune 1000. The NYSE Euronext also announced that they are a now a minority owner in The Receivables Exchange. What does that mean for small business owners? One, if small business owners were reluctant to use the service since it was new, this is one big boost of credibility. Secondly, with the amount of volume that will now be going through the exchange due to the partnership will drive rates even lower. 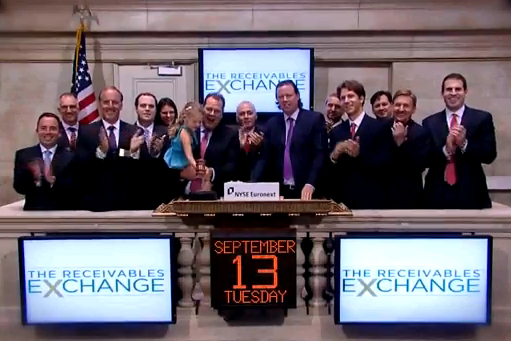 Today The Receivables Exchange (TRE) is processing just over $1B annual through the auction platform. That is one small slice of the potential $17 Trillion US Market, which is the largest asset class in the capital market structure. But will this work? Large corporations have many sources of liquidity. Why would a Fortune 1000 corporation, many who are sitting on a lot of cash currently, auction off receivables to hedge funds for a financing fee? Paul DeDomenico, VP and Head of Global Corporate Receivables Program for TRE, simply stated, "It is a timely cash flow tool added to the belt of CFOs." Paul continued, "It's easy, cost efficient, takes the receivables off the balance sheet and reduces days sales outstanding (DSO) down to two days". Mr. DeDomenico should know, he has been helping Fortune 1000 companies with their liquidity needs for 23 years at GE Capital. 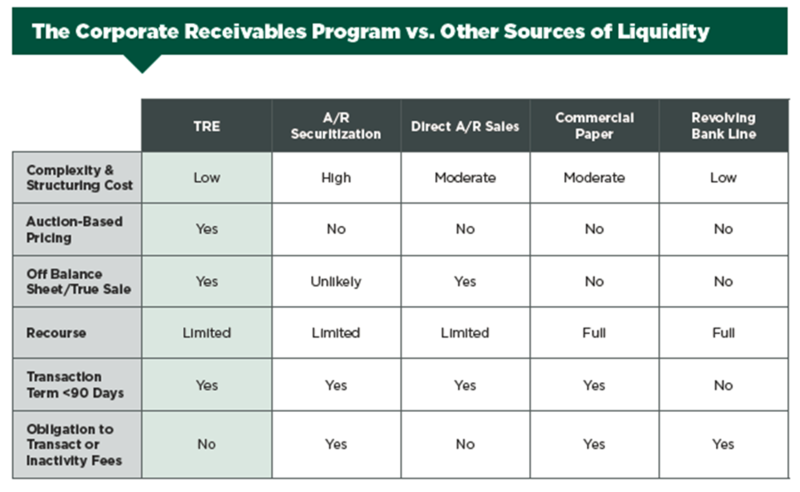 The TRE Corporate Receivables Program is in full production and already in use by companies familiar to all of us.